A COVENTRY MP has called in a Parliamentary debate on Ricoh Arena owners Wasps to come to the table to agree a tenancy deal to enable Coventry City to continue to play in the city – despite legal action in the ongoing stadium dispute. And the sports minister has pledged to consider whether the government could step in as a mediator. Speaking in a debate in Westminster Hall, Labour MP Jim Cunningham urged the government to mediate, adding the club’s survival at the Ricoh after this season must be the priority. For the longer term, he urged the government to further consider bolstering measures against inappropriate club owners. It foillows nine out of ten Coventry City fans’ groups calling on ALL sides – including the club’s owners Sisu, Ricoh owners Wasps and the stadium’s freehold owners Coventry City Council, to agree a Ricoh deal urgently – a position repeatedly urged by the Coventry Observer during the six-year multi-party dispute. But he added he would ‘work with the Secretary of State’ for Digital, Culture, Media and Sport (Kenilworth MP Jeremy Wright) to ‘convene an urgent meeting with the various parties to see if a solution can be found to ensure that the club has a stadium to call home for next season’. 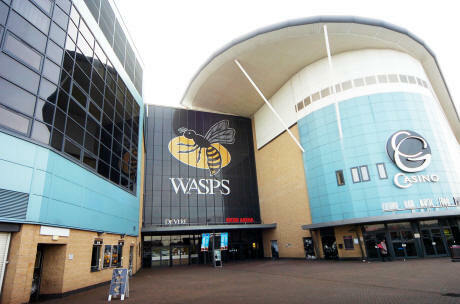 Wasps are refusing to discuss renewing the football club’s tenancy beyond current arrangements expiring this summer, unless Sisu drops all court appeals against the Labour-run council’s decision to sell the stadium to then London Wasps in 2014 on a 250-year lease. Mr Cunningham said: “Whilst SISU have spent huge sums on this legal action, the real consequences are felt by the club. Coventry City are now facing huge doubts over their future at the Ricoh. “.. The short-term future of the club must now be the priority. Coventry City must stay at the Ricoh Arena next season, no other option is acceptable. “To achieve this, all parties need to get back round the negotiating table. “Currently, there are too many red lines preventing talks. I understand the concerns of Wasps, but I ask them to reconsider for the sake of the city. “For their part, Sisu must consider what they might gain from continued legal action. “All fans agree, there‘s no judicial win that could outweigh the risks now faced by the club. “At some point, this legal battle will end; either in the Supreme Court or before that stage. “This could still take many months, time which the club simply doesn’t have. “I have also long argued that a mediator from outside of football should adjudicate in the dispute. “Mediation has been attempted, with an apparent lack of success. He added: “Football club owners own something far more important than just a business. They owe it to the local community to run the club carefully and responsibly. “Unfortunately, the Fit and Proper Persons test is failing; it is simply allowing too many football clubs to fall into the hands of inappropriate people. “… We could learn from the protection football stadia receive through the 2011 Localism act. If grounds can be protected as assets of community value, then clubs should be as well. “Owners who mistreat our community clubs can’t be allowed to get away with it. The government must consider ways to definitively give power back to fans. “Along with other MPs, I will now look to meet with the Government and the EFL as soon as possible. “Coventry city have enjoyed some notable success on the pitch over recent seasons. However, with huge questions over the future of the club; the city has been left in the lurch. “A terrible irony is that this is happening in a year in which Coventry is the European City of Sport. His comments were broadly echoed by other MPs including Colleen Fletcher (Labour Coventry North West), Matt Western (Labour, Warwick and Leamington) and Conservative Nuneaton MP Marcus Jones. Sports minister Mr Davies said: “I am afraid that we are in an ongoing Catch-22 situation and time is running out. It seems to be appropriate on this Brexit negotiation day that nothing seems to be changing and there is something of an impasse. “… Football clubs do not belong to anybody. They are not pawns to be used in property disputes, across the boardroom table or in legal disputes. Football clubs should be fuelled and supported by their local communities, achieving a special place in towns and cities. “I am afraid that in this situation, we are in a bad time. The sorry saga of Coventry City and the Ricoh Arena is familiar to us all, but it remains disappointing that, just as my predecessors have done, I find myself debating this very subject as we see the clock running down. “We must look at who is responsible for the club and has the best interests of the community and fans at heart. I am afraid it feels as if nobody can currently put that to the fore. “.. I am not taking sides in any dispute, but it is a monumental shame that we continue to find ourselves in this situation, especially with a club of this size that means so much across Warwickshire and the city of Coventry. “In terms of immediate action for Coventry City, I will work with the Secretary of State to convene an urgent meeting with the various parties to see if a solution can be found to ensure that the club has a stadium to call home for next season. “.. The long-term plans must be put to the fore. I would be delighted for all hon. Members in this room to come and meet me to ensure that the football club, its future and what should be happening are put forward. “There must be a demonstration that people are ready to set aside their differences and act to ensure that the ongoing legal arguments can be pushed away, so that the football club can get a clear direction for what will happen in the future. “I reiterate that it is not the government’s direct responsibility to be the custodians of one particular football club, but it is our responsibility to hold to account those club owners who sign up to be custodians of a club but do not show that to be in their hearts.